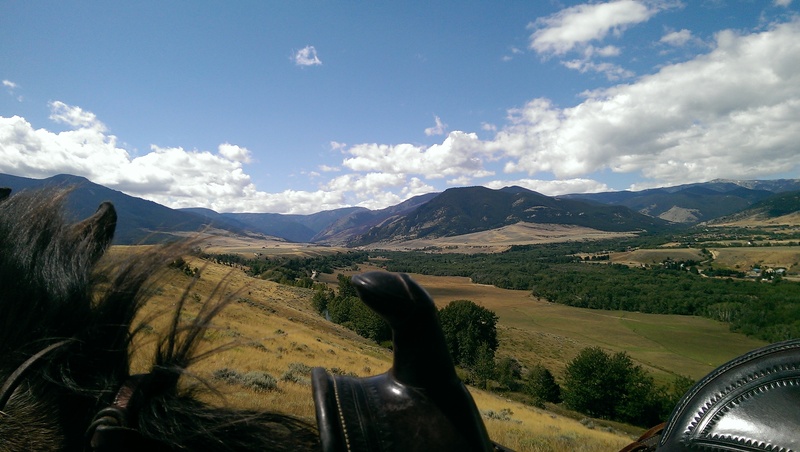 Elk River Outfitters – Explore Montana! 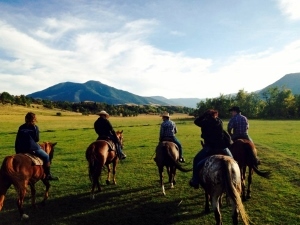 We have been doing horseback rides in Montana since 2002. Many people tell us our horseback rides are the best they have ever been on and that it was the highlight of their vacation. And of course the location is amazing. 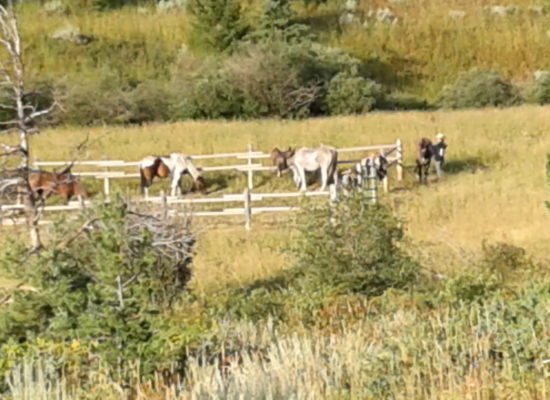 Join us for a visit to the Pryor Mountain wild horse range. 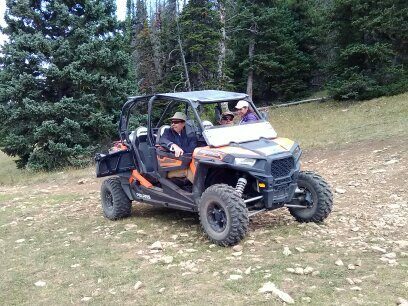 $195 per person with a two person minimum to go by UTV to see the wild horses for a full day of adventure. Call us to schedule 406-860-3699. $45/person for 1 hour, $55 for 1 1/2 hour, and $65 for 2 hours. $150 for half day, $250 for full day. Pack trips are also available. Our Billings rides start 15 minutes from downtown Billings on scenic and historic Pryor Creek. Ride from the gentle rolling hills along Pryor Creek to a pine tree covered plateau from which you can see several different mountain ranges as well as a beautiful view of the city. March thru September in Billings. $50/person for 1 hour, $60/person for 1 1/2 hour and $70/person for 2 hours. 260 lbs. Please let us know if anyone in your group is over 225 lbs. 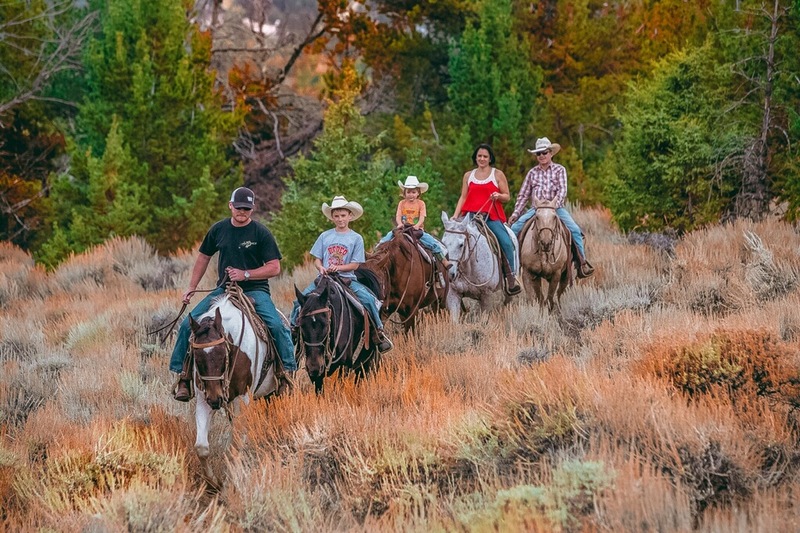 For longer adventures we offer custom packages in the Pryor Mountains which includes staying overnight in a cabin or tent, horseback riding, campfires, stargazing, hiking to a waterfall and going by UTV to see the Pryor Mountain Wild Horses. You’ll want to stay a minimum of two nights for this adventure. Call us to discuss your custom package 406-860-3699. Our East Glacier Park ride is spectacular! You will be amazed by the beauty of Glacier National Park’s mountains. 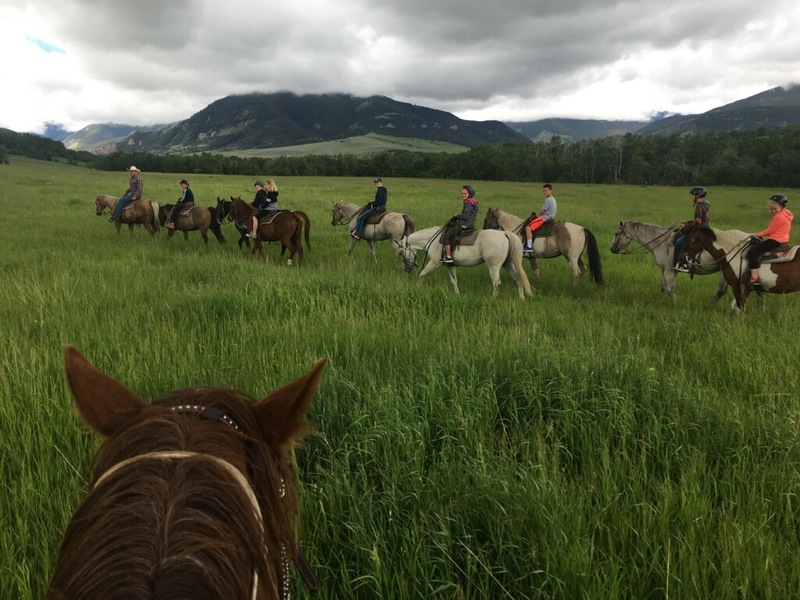 What a great way to experience the beauty of Montana with a horseback ride with Elk River Outfitters. Call us at 406-927-9229 to schedule a ride. May thru September in East Glacier Park. 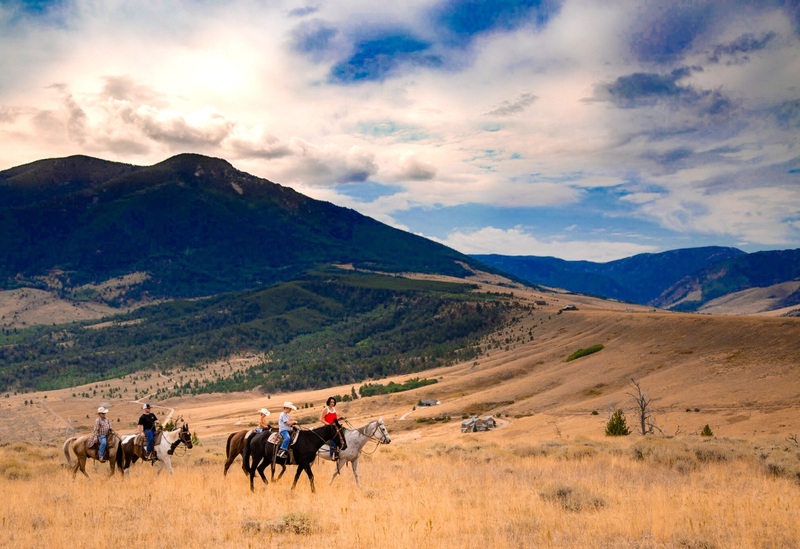 Experience a real Montana cowboy adventure with a western meal at our chuckwagon. Enjoy Indian Tacos, beef brisket, or a steak dinner with cowboy beans, fry bread, salad and dutch oven cobbler for dessert. After dinner sit around the campfire, listen to a cowboy story or two and enjoy making smores. This is a great activity for family reunions and corporate retreats. Contact us to discuss reservations. 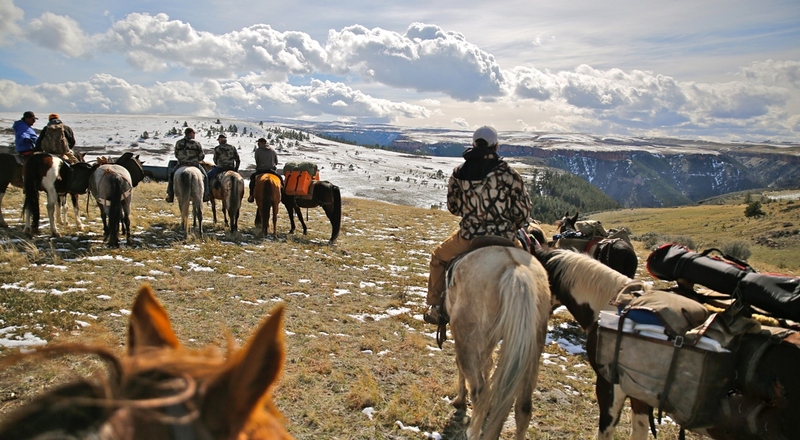 Elk River Outfitters is a fifth generation Montana family owned business. 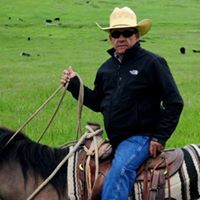 It started as a conversation between then teenager Brad Edward and his grandfather Bill Hayes, as they rode together working cattle on the plains of Eastern Montana during the summer. 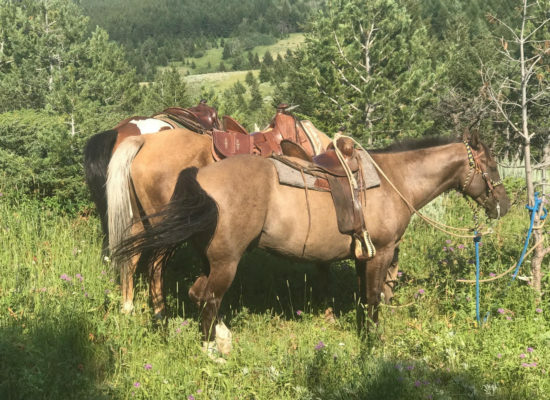 They talked of owning a pack string in the cooler mountainous areas of Montana. After Brad graduated from college, he began working towards the realization of that dream, gathering equipment, horses and experiences. He also gathered a family, marrying his wife Cyndi and raising their four sons, Brad Jr., Chase, Zach, and Tanner, as they continued to work toward their goal. Finally in 1994 they began offering trail rides around Billings. Then they moved the bulk of their operation to Red Lodge in 2003. They have continued to grow their business and have operations in Red Lodge, Billings, the Pryor Mountains and beginning 2018 in East Glacier. They continue to also work with the Crow Indians on their hunting operations. The name Elk River pays tribute to the Crows, as it was their name for the Yellowstone River. 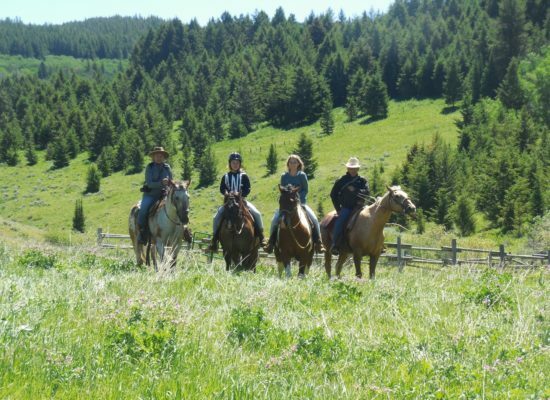 The Edward family invites you to experience the best of Montana adventure in this region, with them. We are across the street from 3 Hwy 308, Red Lodge, MT. Go through Red Lodge on Hwy 212 heading south. Turn left onto Hwy 308 and take the first right. This is a single lane dirt road. Pull through the trees and you’ll see the horses on the right. We are just a few minutes from downtown. We are just past Somewhere in Time and Chancey’s Event Center located at 266 Hogan Rd, Huntley, MT 59037. After Chancey’s turn right at an orange red semi trailer (don’t go up the steep hill) and follow this road until you see the horses on the left. It’s a 15 minute drive from downtown Billings.